Hoo-Joon is a top star. Geun-Young is a magazine reporter. For potential news material, Geun-Young decides to attend an opening ceremony for a club. There, she witnesses top star Hoo-Joon's violent behavior and she also vomits on him by accident. This leads to Geun-Young losing her job. Geun-Young believes Hoo-Joon was behind her firing and she decides to do something about it. Every day, Geun-Young demonstrates in front of Ho-Joon's management office. She begins to receive media coverage on her demonstration and soon Geun-Young becomes famous as an anti-fan. A PD approaches Geun-Young about participating in a reality TV show. The concept for the show revolves around a top star and their anti-fan living together. Geun-Young is in financial difficulties and accepts the offer. Meanwhile, Hoo-Joon is offered the same reality TV show and he accepts to improve his image. Ho-Joon and Geun-Young try to give each other a hard time on the TV program, but they become attracted to each other. I can understand this since I followed the thread during the time it starts and couldn't catch up due to work. However, I managed to finish the 50 episodes drama. I really like how the drama does not have a stagnant characters and they change from mistakes and experiences. It's not the best, but definitely falls under a good drama category. Oohh nice so this has been turn into a drama! Kim Min Kyu shall plays role of Go Soo Hwan, a photograher along with the reporter GeunYoung. Kim Sun Hyuk is Seo Ji Hyang, HooJoon's manager who's more like his brother. It seems like this drama will be a semi-pre-production (not quite sure what it means) but it has been sold to US and South America (I need to double check on this) as it shall be co-produced by Warner Bros Korea TV Production. I'll add in the news link once I could find the english version of the article. EDIT: Kim Min Kyo is also joining the cast. He shall be the rep from HooJoon's company. It looks like it has been confirmed to be a 16 episodes x 70 mins. It shall be 50% pre produced. Script of the drama. There's four color ver so far. SOOOO CUUTEEE~!!!! Kindly check the website. I'M BACK AFTER A LOOOOOOOOOONG HIATUS GAAAAAH! Has anyone already made a forum for "So I Married An Anti-Fan" Kdrama???? ASFSSAJSLJDKA IT'S CONFIRMED U GUYS! and that's why I'm back LMAO. I MISSED SOOYOUNG IN THE KDRAMA WORLD SO MUCH!! now she's gonna be paired with the hot cutie Choi Taejoon!!!! @thecrazedkfangirl LOL, I've been waiting for you. @stuartjmz Hopefully we shall be consistently entertained with this drama until the end. Seriously, this drama version seems so promising. I remember when watching the movie, I felt like the story line will definitely be well conveyed if they made it into a drama. I think it was too cramped that between two scenes should've have more to tell. Not sure how true this is because I couldn't find the blog. Kindly share the link if you do have them. My understanding is that a K Drama version was long planned, well before the C Version, but casting and other issues got in the way. I love that Sooyoung is the lead, because she has so much experience with antifans - I still shake my head in disbelief when I read comments attacking her appearance. Yes, I heard about that too. Luckily the C-movie received so much love that the drama version are brought up to attention again. Not gonna lie, Lee GeunYoung does reminds me of Sooyoung. I don't think the attack on appearance will end. But people definitely have recognized her acting. But I'm not sure if it just me or I've encounter some international fans seems to put Sooyoung in the 'cannot act category', I'm quite confuse lately. Even in the drama Man Who Sets The Table, Roori has received so much love from the local viewers, thus the viewership rating went up to 18% at the end of the series. They even wrote her name as actress Sooyoung. (If I'm not mistaken, there were some talks about dresses that she wore in the series - as it seems Roori has turned into fashionista as she gained more confidence in herself, lol). Yoo Seo Jin (The Good Witch) is joining the cast~! She will be the editor-in-chief of the magazine company. I went AWOL after I dropped MWSTT and I feel really bad up until now T.T (I really miss Squad 38/Police Unit 38 days where everybody was active and was streaming together T.T) but yeah work also got it the way so.. But I'm really glad Sooyoung got a romcom now I LOVED her in melodramas but it's been a while since she's cast in a romcom and now with an actor her age! I wasn't expecting him as the lead but I'm growing more and more excited as time goes by. Yup there are reports for 2015 that they were planning to make this into a Kdrama but in 2016 it was made into a Cmovie instead tho I didn't really know why. In my opinion, webtoons should really be turned to dramas instead of movies. Like CITT (despite with the issues and all) I enjoyed it so much unlike with the movie ver it felt so fast and cramped. But what am i gonna expect for a 1+ hour long movie? LOL good thing I watched the drama first that's why I know the things that were gonna happen. @thecrazedkfangirl I remember getting goosebumps when I watched Choi TaeJoon in Missing 9. He's great in Suspicious Partner and the Undateables. Personally, I think he's quite versatile in terms of roles that he had picked so far. This is his first lead drama, right? Dong-Hyun Bae shall be the Han PD~! The pretty Im Do-yoon, Nu DooYoon, shall work along with Han PD and Baek Seungheon is Shin-hyeong, the long time boyfriend of Shin MiJung. @mylovegyoza Yes so far it is his first drama as a main lead.^^ but omg you've read the novel? where? is it in english?? So far I tried to read the raw manhwa and at some point I gave up at parts that have so many dialogs and just skipped to Geunyoung and Hoo Joon's parts LMAO But so far I was entertained XD After reading some reviews of the book and the fact that I watched the movie was of great help and oh! the manhwa had some kissing scenes (I could count up to 3 XD) and I felt so giddy when I saw it LOL but I'm not gonna expect too much from the drama coz I don't want to be dissapointed. @thecrazedkfangirl I read the novel a long time ago, I used it for learning actually. I think the only international version they had is the Indonesian version, I tried to look for English version but couldn't find them. My korean is freaking bad, I don't think I want to reread the novel again, lol. I remember the novel is a so-so but I'm surprise that the manhwa actually quite cute (currently not sure if it's because of language barrier). I remember being annoyed with JJ character when I read the novel, but in the movie, I somehow don't hate him that much. I think getting a variety of roles like a villain would strengthen up Chansung's acting versatility. I remember even Sooyoung keeps wanting to play villain but didn't manage to be one. We all know, if we hate a character, that actor immersed himself in the role and succeed. I personally think Chansung is able to deliver the role really well. .
EDIT: So.. I read the manhwa. I think describing JJ a richard simmons bag is already too nice. Now I kinda hope they change the flow/ending of the story for supporting characters. I think there's quite a number of violence and abusiveness, hopefully they tune it down a bit and add in more current issues with K-celebrities, sasaengs, social, etc and not just focusing on the cheesiness of free-spirited heart. OMG~!!! 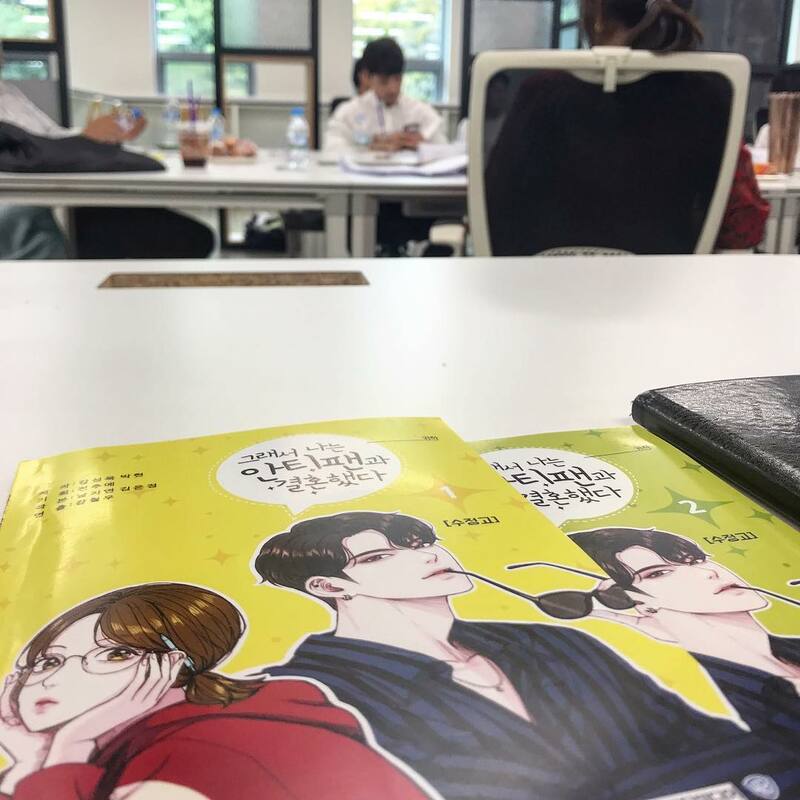 Script Reading~!!! In the articles today stated that the script reading was held on the 20th August~! OMG you read it! Lmao right?? I totally agree with you! I really hope they'll tackle all of those issues Though the manhwa available was short of the last two books so the moment I finished the first two, I was kinda itching for more coz come on, they barely just got together! But yeah i thought it was probably for the best so that we would just have a sneak peek just to know what to expect from the drama. Meanwhile, the book's plot was kinda all over the place especially the ending.. that explains why that "airplane scene" from the movie just popped out out of nowhere. That's how they ended it in the book! Also YAAAAAY~! Soompi finally released the translated article! Upcoming drama “So I Married an Anti-Fan” has released stills from its first script reading! 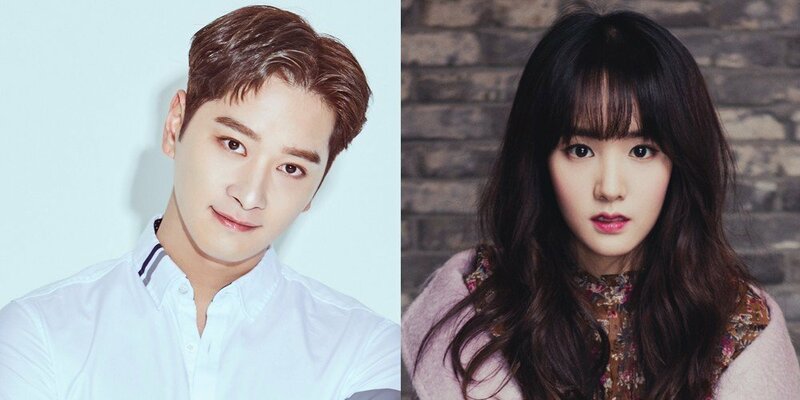 “So I Married an Anti-Fan” is a romantic comedy about Ho Joon (played by Choi Tae Joon), a top K-pop star, and his anti-fan Lee Geun Young (played by Girls’ Generation’s Sooyoung), a magazine reporter. The drama will air in 160 countries. On August 20, director Kang Chul Woo and writer Nam Ji Yeon, along with actors Choi Tae Joon, Girls’ Generation’s Sooyoung, 2PM’s Chansung, Han Ji An, Kim Min Gyu, Kim Sun Hyuk, Kim Ha Kyung, and others attended the first script reading. As the actors fell into their roles, they got along extremely well. It was to the point where those around them wondered if it was really their first time meeting each other. Choi Tae Joon prepared hard for his role as Ho Joon, a man worthy of the title “Top K-pop Star.” He took in the lines expressing Ho Joon’s love for fans, as well as lines full of Ho Joon’s unique tsundere (cold on the outside, warm on the inside) emotions. Sooyoung displayed a fresh energy as she passionately acted as Lee Geun Young, with her bubbly image and assertive attitude. The chemistry between Sooyoung and Choi Tae Joon was already noticeable. Chansung, who will be playing his first villain role through this project, portrayed a different image as the shameless JJ. Han Ji An will play Oh In Hyung, a woman at the center of a romantic triangle featuring JJ and Ho Joon. She was able to take in her character with her lines and expressions that displayed her feelings of discomfort. The actors and production staff of “So I Married an Anti-Fan” were able to complete their first script reading successfully. 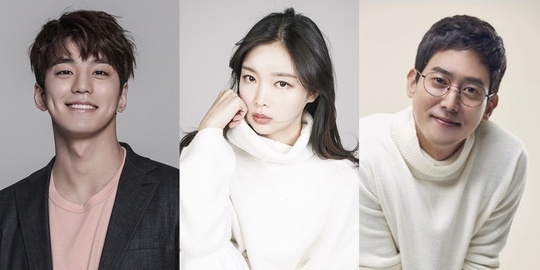 The partially pre-produced drama will begin shooting soon. I really like how the articles today mentioned about how promising the acting skills of all main actors. I know the drama will not start any soon, but ohhh gaaaaaddddd can't wait~!! I watched the movie version. And it was not good. I fast forward to get to the end. Totally not recommended. And now they're planning for the drama. I hope they make it good and more interesting this time. I am so happy for TaeJoon. He's been second lead and minor parts for a bit and I was wondering when he would get the chance at first lead. First saw him in Suspicious Partner and I really liked his character. Pity his costar there was still a bit green but his acting with the others was good. Not familiar with the webtoon but I did hear that the movie wasn't well received. A drama may allow more room for plot and character development as opposed to a movie. Hopefully it will do well. Undateables didn't do well at all so I hope this drama takes off. Meanwhile, Warner Brothers Korea takes part in the production as an investor and co-producer for the drama series. Exact broadcasting station and air dates have yet to be disclosed. Tentatively, the drama series will air in about 160 countries around the same time as it does in South Korea.